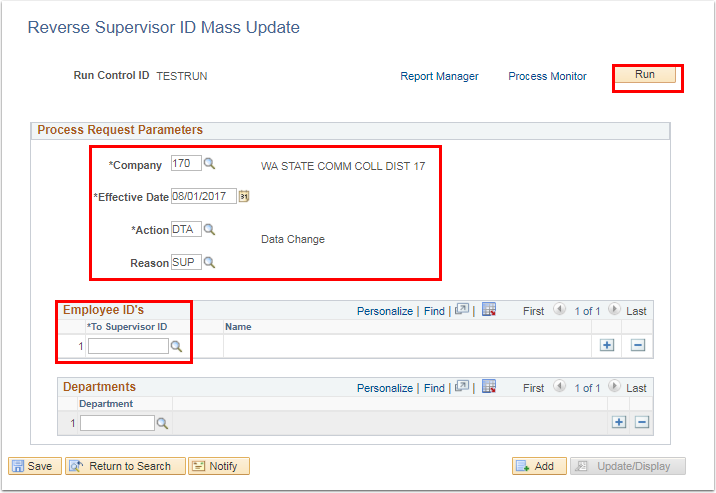 PURPOSE: Use this document as a reference to reverse a change made to the Supervisor ID in Job Data, from one Empl ID to another for a group of employees. 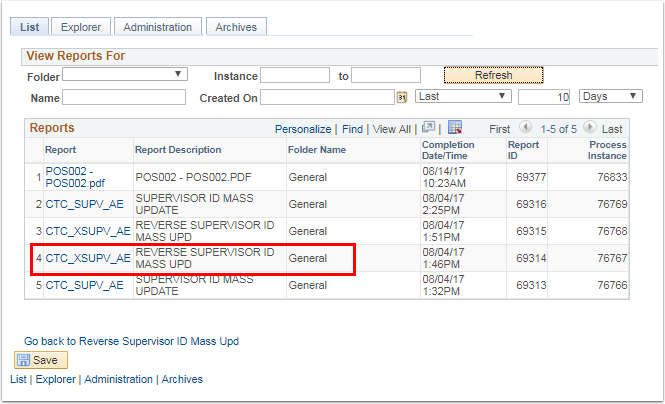 IMPORTANT: This process is ONLY to be run after the process for Creating a Supervisor ID Mass Update has been run. 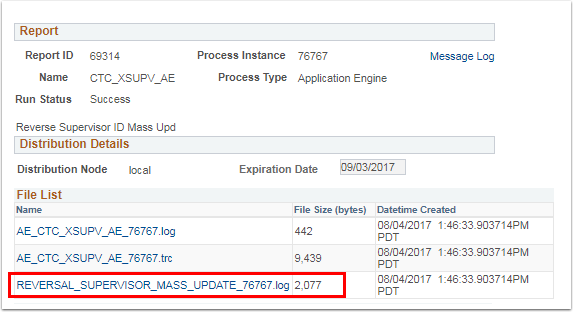 All data entries for this process must be identical to the data entries used for the original Supervisor ID Mass Update that is being removed (i.e. Company, Effective Date, Action, Reason, Empl ID, etc). Enter/Select the appropriate To Supervisor ID. (Note: this will actually be the Empl ID entered in the "From Supervisor ID" field on the original request). Click the Go back to Reverse Supervisor ID Mass Upd hyperlink. Click the CTC_XSUPV_AE report link. Click the REVERSAL_SUPERVISOR_MASS_UPDATE hyperlink to view the actual results. (A separate window will appear containing the results. It is best to save or print these results for validation). Save the report (PDF file). Select an employee on the report. Navigate to Job Data to validate the update. Congratulations you have successfully Reversed a Supervisor ID Mass Update!!! !